As soon as the doors opened for the 2019 ATA Show, our search for the most interesting and talked about products began. Our team searched all over the show floor, and a little bit through our comments on YouTube and in our Forum, to determine which new bowhunting products were generating the most buzz for 2019. Here is the culmination of all that hard work in no particular order. Despite 470fps, the Nitro XRT is extremely quiet and has minimal vibration. There are grommets in the platform that were designed so the sticks can attach right to the platform quickly and, most importantly, dead silent. The patent-pending frame lock system allows you to carry extra gear or equipment with ease. Designed and developed by the original Lone Wolf founder, Andrae D’Acquisto and his son Cody, this revolutionary stand and climbing stick combo has been one of the most talked about new products so far in 2019. The D’Acquisto’s also came out with a few other new products, but the stand and sticks have garnered the most attention. This treestand and climbing stick combo was designed to the ultimate run-and-gun setup. The stand includes many innovative features such as the patent-pending frame-lock feature that allows the seat to rotate 180 degrees and lock in place so that you can carry bags, equipment, or even your harvest. Take a closer look at the new system HERE. The stand by itself only weighs 7 lbs and each 17″ climbing stick weighs in at 1 1/2 lbs. The combo stand and 4 mini-stick package weighs only 13 lbs. The stand costs $500, each mini-stick will go for $80, or $300 per 4-pack. They also have a regular 32″ 3-step climbing stick available for $90 apiece, or $350 for a 4-pack. The tapered shaft allows for better penetration as the forward portion of the arrow bores it’s way into the target and makes ample room for the rear of the shaft to follow along with less drag. The proven Full Metal Jacket design along with a higher FOC makes this one of the deadliest arrow shafts ever created. This uniquely designed arrow starts out at the tip with a 6mm diameter and tapers down to a 4mm diameter at the nock end. This is beneficial for those that are looking to boost their Front of Center or “FOC”. Having a larger diameter and more weight in the fron, gives this arrow a 30% boost to the FOC without adding any additional weight to the insert or broadhead. Also, with only a 4mm diameter at the nock end of the arrow, you’ll get better penetration thanks to the decreased drag. This is Easton’s premium arrow shaft for this year, and a premium arrow comes at a premium price. A dozen of these arrow shafts is going to cost $300 so make sure you don’t miss! Despite the large size, it only adds 1 lb of weight to your bow. The LED lights are lined vertically in the middle of the scope housing. 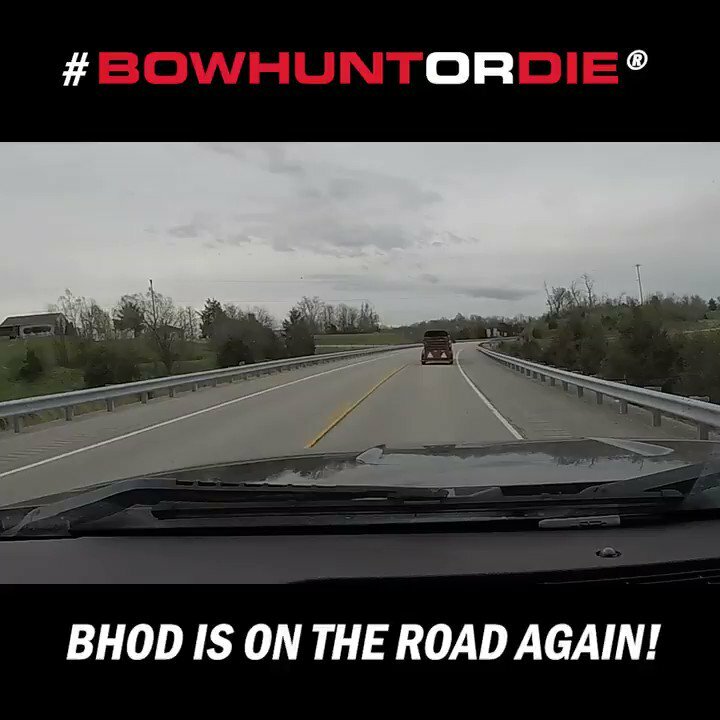 Much like the 2018 Garmin Xero, this is a bow sight that has rangefinding capabilities. All you need to do is sight in your 20 yard pin and then 2 more distances of 10 yard increments (30yds & 40yds). The sight will then automatically calculate the trajectory of your arrow. Once that’s set up, simply aim your 20 yard pin at whatever you’d like to shoot, click the small button that’s attached to the front of your bow grip, then the distance and correct pin will light up. If, for some reason, the laser rangefinder is covered up or does not work when you’re shooting, a default pin set of 10 yard increments will light up. The Burris Oracle will come with a hefty price tag of $799. The release of the Tactic came as a surprise to everyone and, thanks to a lower price tag than other Mathews bows, is a great way to get started in the Mathews family. The Tactic features specs similar to the popular Mathews Chill, but with an improved cam system and a more advanced riser design. A surprise release during the 2019 ATA Show was the Mathews Tactic. With an MSRP of $849 it will likely be sold for well under $800 at your local dealer which makes the Tactic a great bow for someone looking to get started with the Mathews family. The Tactic is similar to the Mathews Chill released in 2013 however it sports an updated and improved version of the AVS Cam system along with a redesigned and improved riser. It’s axle to axle measures in a 30 1/2″, the brace height is 7″, and it is shooting at speeds up to 335 fps. The Tactic will be available in either black or Realtree Edge. We were able to get a better feel by shooting it on the range, take a look at the video HERE. The Gamma Scan can easily attach to any bow riser and send info to the smartphone app. This is the newest technology for that archer looking to take his shooting ability to the next level. This little product is a Bluetooth sensor, about the size of a wristwatch, and attaches to the riser of your bow. It then connects to an app on your smartphone that detects how stable you are while at full draw. You can then experiment with different draw weights, draw lengths, and stabilizers to determine which setup is best for you. The Gamma Scan will be selling for $299 and should hit the market by May 2019. The R26 is the smallest crossbow on the market today. 26″ in length and losing no speed at up to 400fps. Ravin took the crossbow world by storm several years ago and has quickly catapulted their brand to the top of the archery industry. New for 2019 is the R26. It’s compact, it’s maneuverable, and it’s fast. The Ravin R26 is the smallest crossbow on the market at 26″ from end to end, weighs only 6 1/2 lbs and can shoot at speeds up to 400 fps. This lightweight crossbow is perfect for still hunting or hunting in a ground blind. The entire R26 package includes the crossbow, an illuminated scope, 6 bolts with field tips, a 3-arrow quiver, and an accessory bracket. The listed MSRP is $2,049. The Lil Bow Peep is a sight, rangefinder, and recording device all in one. The Lil’ Bow Peep Omega is part of the new wave of bow sights with rangefinding capabilities built in. However it’s not only a sight and rangefinder, but it can also be used to record your hunts as well. It doesn’t automatically adjust the reticle like the Burris Oracle, but you can easily sight it in at 20 yards and use the lower reticles to shoot at further distances. Prices are estimated to be between $340-$380, with an arrival on the market sometime in July 2019. Although we weren’t able to get a video with them, our friends with Lancaster Archery Supply got a better look at the Lil’ Bow Peep. The vented inserts allow blood to flow through the arrow and out the back end near the nock. Vents on the back of the arrow let blood flow through and not clot up in the animal to help on those difficult recoveries. One of the most interesting new products from the 2019 ATA Show was this vented insert from Lone Wolf Custom Gear. Much of the talk was about whether or not it would work, and how well it would work. The main purpose of this product is to allow blood from an animal that’s been shot to flow into the insert, down the arrow shaft, and out the nock. In the case of an arrow being lodged into an animal, this can help create blood trails that are more easily followed. We got to talk to co-creator, Cody D’Acquisto, about this new product. Here’s our full video on the Vented Inserts. Each insert weighs 25 grains and can be glued to the arrow shaft just like a regular insert. A single set of nock and tip inserts are going to retail at $12.95 and will be available in March 2019. Turn your urine, into a whitetail attractant! Unquestionably one of the more talked about products at this year’s show is the SCENT Relief NeturaVert system. This product has the ability to turn human urine into a cover scent or attractant lure. The steps are simple; first, urinate into the provided bottle and then pour the urine neutralizing powder in. This effectively kills any scent from your urine. After that, you can add either a modifier or enhancer to finish off the process. There are 11 different scents that you can choose from for only $15 per bottle. Each bottle will come with both a neutralizer and a modifier or enhancer. Click here for a better look at the new ScentRelief System. So there you have it! The most talked about products of the 2019 ATA show. While there are unquestionably some very unique products on this list it remains to be seen which will be a hit and which will be a strikeout. One thing is for sure, there’s certainly no shortage of “out of the box” ideas coming from the archery industry these days. For our full 2019 ATA Show coverage, including detailed product videos on nearly 100 new products make sure you check out our YouTube channel.